Genius Consultants IPO is one of the first few and one of the most recent IPOs of this new financial year. This post covers various relevant details of Genius Consultants IPO. It talks about features like the IPO release date, IPO size, IPO object, IPO issue details, IPO subscription, Company background, Company financials, IPO price band, GMP – Grey Market Price and many other details. Genius Consultants is a Kolkata based company which provides complete Human Resource related solutions. The IPO carries with it fresh equity shares of INR 1,700 million and additionally 1 million equity shares of one of the promoters. Genius Consultants IPO is the fourth company releasing an IPO from this industry over a span of two years. The IPO related draft documents have been submitted with the SEBI on 02 April 2018. The lead managers for Genius Consultants IPO are SBI Capital Markets Limited and Yes Securities (India) Limited. The Registrar to the Genius Consultants IPO is Link Intime India Private Limited. Genius Consultants, established in 1993, is one of leading providers of human resources solutions in India – their services cover the life-cycle of the HR solutions value chain include permanent and flexi staffing solutions, payroll processing, compliance management, background checks and verification services, HR management services (“HRMS”) (collectively, “HR Solutions”) and facility management services as well as sale of HR software. Genius Consultants also plans to diverse in new segment related to security services. They have a bunch of high-profile clientele including Bharti Airtel, Bosch, Hathway Cable and Datacom (“Hathway”), Tata Consultancy Services (“TCS”) and PayTM. Company’s IPO issue date has not been declared/released yet. Once the IPO is released, the subscription numbers would be updated here on a daily basis. Once the IPO is released and subscribed, the details related to allotment status would be analysed and posted herein within 2-3 weeks. The IPO is sized at INR 1700 million plus additional 1 million equity shares being sold by one of the promoters. As mentioned above, the promoter is offering 1 million equity shares. However, the number of equity shares being offered under fresh issue has not been declared yet. The same will be updated herein post the disclosure. Genius Consultants Limited is a leading HR solutions provider in India by market share in fiscal 2017 and as per a recent CRISIL Report, it has one of the highest revenue per associate ratio (Source: CRISIL Report, March 2018). The HR company was set up in 1993 and in these 24 years, it has expanded its services from a basic staffing services to include solutions covering the life-cycle of the HR solutions value chain include permanent and flexi staffing solutions, payroll processing, compliance management, background checks and verification services, HR management services (“HRMS”) (collectively, “HR Solutions”) and facility management services as well as sale of HR software. 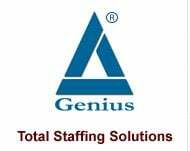 Genius Consultants Limited serve their corporate clients by sourcing middle and senior level personnel through our permanent staffing solutions, while our flexi staffing solutions outsource associates on a temporary basis, allowing our clients to focus on core areas of their business and operations. Genius Consultants Limited has seen a consistent growth in revenue and also in the profits. The total revenue and profit after tax grew at a CAGR of 21.44% and 45.57%, respectively, between fiscal 2013 and fiscal 2017. This indicates to the progressive and successful history of the company. The promoters are interest to the extent that they have promoted the company. The Company has entered into a lease agreement dated August 1, 2015 with Mr. Rajendra Prasad Yadav, for a period of three years in relation to premises situated at 1st floor, Rishi Tech Park,360, New Town, Kolkata, West Bengal, India admeasuring 1,806 square feet. Pursuant to the terms of the lease deed Company is required to pay a monthly rent of ₹ 89, 270 during the term of the lease. Additionally, Mr. Rajendra Prasad Yadav is a trustee on the board of trustees of Genius Foundation, PF Trust and Gratuity Trust. The promoters are interested to the extent of their respective shareholding in the company and dividends/other related distributions. Additionally, Mr. Rajendra Prasad Yadav is also interested in the Company as Chairman and Managing Director and as a Key Managerial Personnel and Ms. Reeta Yadav is interested in Company as a non-executive and to the extent of any remuneration payable to them in such capacity, respectively. The HR company as per their red herring prospectus is ready to jump in market with 10 lakh equity shares. The issue that they are looking at INR 170 Crore. This is comparatively is very small IPO. The Offer Price will be determined by the Company and the Selling Shareholder i.e. the promoter selling his shares, in consultation with the Book Running Lead Managers, on the basis of assessment of market demand for the Equity Shares offered through the Book Building Process and on the basis of various qualitative and quantitative factors . Comparison with listed industry peer review – It ranks at number 3 on the basis of EPS. As a general trend, the grey market for Genius Consultants IPO will open alost 15 days or 2 weeks prior to the release date. Upon opening of the same, the Kostak rates will also float around.